I love Fort Wayne. Having lived here my whole life (minus a few years away at college), I have had ample time to get out and explore my hometown. A lot of this stems from being someone who refuses to be bored, and who enjoys getting out and about to find new things to do and places to go. Living my teenage years on the north side of town (so close to the country and farms that my high school still had "Drive Your Tractor to School Day" sponsored by the FFA) I heard so many people say there was nothing to do in Fort Wayne - and I REFUSED to be one of them. My friends and I were adventurous, and often drive all over town finding things to do. We&apos;d go to the zoo, go see different local bands play, check out the museums downtown and walk around aimlessly exploring Fort Wayne. That sense of wanting to go out and explore my city hasn&apos;t left me, but there are so many people that can get stuck in a rut and aren&apos;t aware of the amazing attractions we are so lucky to have! 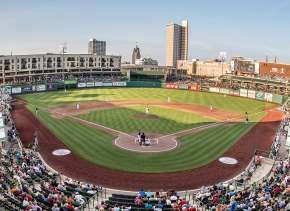 That&apos;s why whether you&apos;re a visitor in town looking for something fun to do, or a local who hasn&apos;t a had a chance to visit all that Fort Wayne has to offer, you shouldn&apos;t miss Be a Tourist in Your Own Hometown! 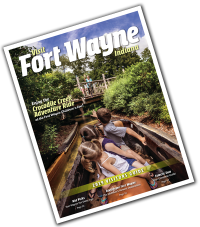 Be a Tourist in Your Own Hometown is a great event put on by Visit Fort Wayne. The goal is to get people that live in Fort Wayne out and about to places they haven&apos;t visited in awhile, or aren&apos;t even aware of! There are twelve attractions that you can tour around , and the best part is that it is FREE! 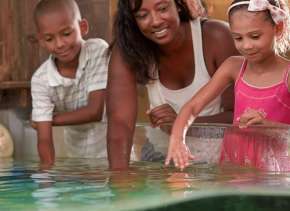 The attractions open during this year&apos;s even are: The African-American Historical Museum, Lincoln Tower, the Allen County Courthouse, Science Central, the Fort Wayne Museum of Art, the Cathedral Museum, the Botanical Conservatory, The History Center, Parkview Field, the Embassy Theatre, The Old Fort and the Visitors Center. While the list of places to go and see may seem a little overwhelming, pick 2 or 3 you&apos;re really excited about and focus on visiting those! 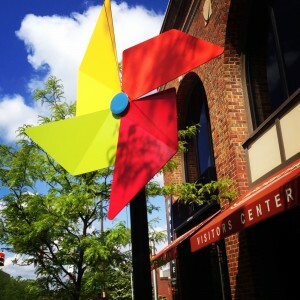 I&apos;ve had the chance to both work and participate during Be a Tourist in Your Own Hometown, so I&apos;ve got some favorites. And while I&apos;ve been to many of the attractions you&apos;ll find on September 7th, the following four would be my top picks! Embassy Theatre The Embassy Theatre is truly a gem in downtown Fort Wayne. 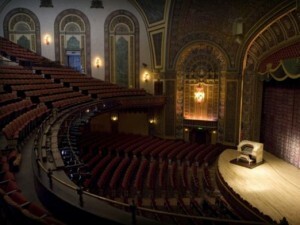 The theatre was built in 1928 and is one of Indiana&apos;s largest historical theaters. Anyone who has walked inside knows that the Embassy is a beautiful piece of history that has withstood the test of time over and over again! While many have sat in the theatre&apos;s seats for a Broadway production, a headlining concert, Philharmonic performances and many other great events, Be a Tourist is one of the few times where you can tour around the Embassy behind the scenes! Allen County Courthouse Take a tour of the Allen County Courthouse and you won&apos;t be disappointed! While many either run in and out of the courthouse, or haven&apos;t had a reason to go inside, Be a Tourist is the perfect time to check out this National Historic Landmark. Not only is the Allen County Courthouse a great part of Fort Wayne&apos;s history, it is also an important piece of architectural history. Having been restored, the Allen County Courthouse boasts beautful examples of art glass, murals and intricately patterned tile floors. It is often regarded as one of the finest examples of Beaux Arts architecture. Visitors Center You may be thinking "Why would I ever go to the Visitors Center if I live in Fort Wayne? ", and long ago I thought so too. But, the Visitors Center offers so much more than you could expect! 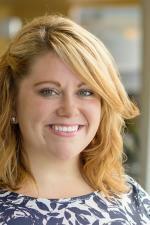 The staff is extremely knowledgeable about all things Fort Wayne, as well as fun and friendly to boot! You&apos;ll also find a variety of things to do and buy. 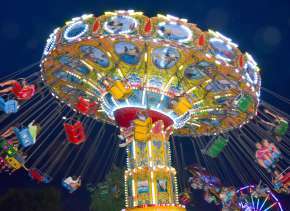 There is information for tons of attractions, restaurants, parks and even more. - many of which are off the beaten path and you may not even be aware of! You can even find Fort Wayne souvenirs and locally made products such as coffee, DeBrand Fine Chocolate and Vera Bradley. Lincoln Tower This is by far one of the most popular stops during the afternoon of BAT, and for good reason! This is one of the only days of the year that the Lincoln Tower observation deck is open to the public, with gorgeous views of the entire city. I would recommend making this your very first or last stop of the day because the line can get a little long, but is more manageable with a little planning. And, even with the thousands of people lining up to ride to the top, the line is fast moving and well worth the wait! 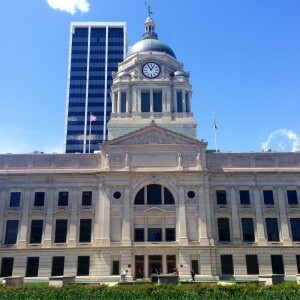 While you&apos;re out and about I would also suggest stopping at one of downtown Fort Wayne&apos;s yummy eateries for a bite before, during or after your stops! Grab a slice, a sip or a snack at Pint and Slice, Dash-In and many other great places. For more ideas of where to dine downtown, take a look at our downtown dining map. No matter which attractions you decide to check out during Be a Tourist in Your Own Hometown, you will have a great day discovering our wonderful city! Be a Tourist in Your Own Hometown is Sunday, September 7 from 12-5pm. 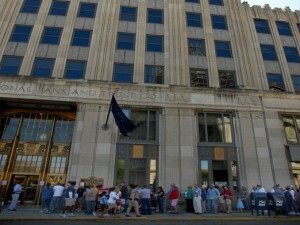 You can find passports for the event are Fort Wayne area Kroger and Old National Bank locations! Or, you can download your BAT passport here.